Spring Break is made for beach vacations. 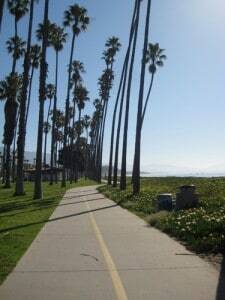 Many oceanfront destinations try to appeal to a wild college crowd but Santa Barbara offers great family fun year round, so we decided to head up the coast to enjoy a bit of the American Riviera. Here are some fun things to do with your kids near the palm-lined coast of Santa Barbara. I dare you to have more fun than we did! My son was quite nervous as he looked out at the waves of Refugio Beach, wondering how we would get our kayaks out beyond them. I wasn’t worried about getting our kayaks past the waves, but I was very worried about freezing while I was doing it. It was Spring Break and despite our wishes for warm sun, clouds covered the beach and left us feeling quite cold. I wanted to enjoy this ocean kayaking trip! Our tour guide surprised us by giving us the next best thing to the sun: full body wetsuits. It was like putting on an electric blanket! After some beach side paddling instructions, our guide helped us get through the waves and we were off. I turned around in my kayak to watch my nervous 10-year-old as he and daddy paddled hard through the small surf. The beaming smile on his face told me that he loved it. The nervousness was gone AND we were toasty warm! Our family took the more adventurous Refugio State Beach Kayaking Trip but families can take a tour led kayaking trip right on the Harbor of Santa Barbara. It’s an enjoyable and relaxing paddle with great views of the city and Stern’s Wharf. 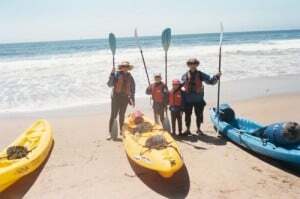 The Santa Barbara Adventure Company offers many different adventures and families could spend weeks enjoying them. Their trips include horseback riding, day hikes, surf lessons, and even kayaking tours along the scenic coves of the Channel Islands. On our kayaking trip, our tour guide was excellent and the adventure was so much fun. I especially enjoyed the fresh sandwich ingredients that our guide prepared for us as we rested on a secluded beach and watched our kids playing in the sand and surf. Read my full review of kayaking with the Santa Barbara Adventure Company. Bike Riding – You can rent a 5- or 8-seater surrey bike from Wheel Fun Rentals. They offer quite a variety of human-powered forms of wheeled locomotion! Our boys loved pedaling hard along the pedestrian/bike path that parallels the ocean. The views are incredible and the joy of combining the family’s leg strength to get somewhere is exhilarating. Just don’t be surprised when joggers pass you up like they did us! Ride your family bike down to East Beach where there is a playground, long stretches of white sand, showers, and a grill for thirsty bike riders. On your way back towards Stern’s Wharf, be sure to stop at the inland side of Chase Palm Park for a carousel ride or a stroll along Mission Creek. Exciting Shipwreck Playground will delight kids of all ages. Read my full review of Wheel Fun Rentals. Whale Watching – Some of the best whale watching can be found right here in the Santa Barbara Channel. 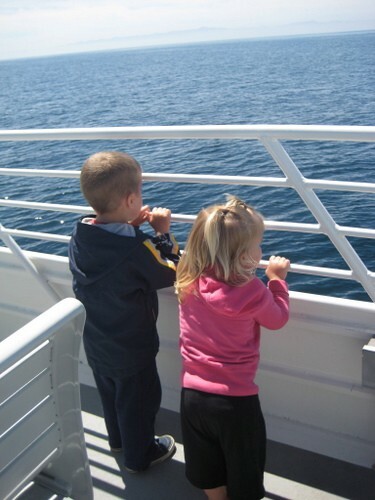 We loved riding with Condor Express because of the excellent docents who kindly interacted with our kids and helped them learn about humpback and grey whales, dolphins, porpoises, krill, baleen, and so much more. What an amazing sight to see so many humpback whales showing their tails right near our boat! Bonus- we didn’t get seasick (best thing ever!) because of the smooth sailing of this modern catamaran. 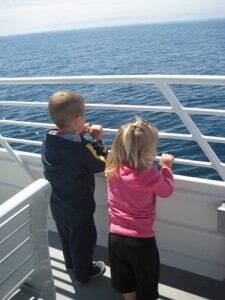 Read my full review of whale watching with Condor Express. Sight Seeing – You can’t miss Stern’s Wharf sticking out into the ocean like a big thumb. What is surprising is that you can drive onto this wharf! We walked onto the wharf just before the sunset and enjoyed eating ice cream, perusing the souvenir shops and finding the penny press. The Ty Warner Sea Center is located on Stern’s Wharf and is a great place for kids to learn about the ocean and it’s inhabitants. It’s stocked with hands-on learning activities and fun. Near Stern’s Wharf, the Santa Barbara Maritime Museum is located in the harbor right next to Lil’ Toot, the cute, yellow water taxi that takes visitors from Stern’s Wharf to the harbor. The Museum offers a dedicated children’s section for learning how to tie knots, fishing for salmon in the simulator, speaking sailor talk (the clean kind), and making some crafts. This place is packed with information on history, ships, and so much more. It is very kid-friendly. Read my full review of the Santa Barbara Maritime Museum. Bus Riding – Hop on the Electric Shuttle for a more restful form of traveling. It only costs a quarter and kids under 45” ride free. The bus can take you back and forth along the beach or it can take you inland, down famous State Street and downtown. If you ride east, the bus driver takes you to the beautiful Santa Barbara Zoo. The animals and lush greenery there will delight both kids and adults. Eating – Enjoy lunch or dinner at one of many restaurants scattered along Cabrillo Blvd. or up State Street. Look for the lighthouse to find the family-friendly Rusty’s Pizza, which is known to many in Santa Barbara for offering delicious pizzas in a fun atmosphere. Stern’s Wharf offers a variety of dining experiences. From the fine dining and beach-themed food of The Santa Barbara Shellfish Company near the end of the wharf, to the counter-served Char Fish & Chips, you are sure find something to good to eat. We hopped in our car and drove for about 10 minutes to the locally famous La Super-Rica Taqueria. We were so hungry when we got here that watching the cooks grill our strip steak and press fresh tortillas was almost painful. But the food was worth the wait! Stay– Hotel Oceana was the perfect place for our family to relax after enjoying all of our adventures. Our king size deluxe room had a separate little room with a sleeper sofa that our kids crashed on at the end of the day. We loved being able to close the door to their room and then turn on our TV and enjoy some winding down ourselves. The hotel was located just across the street from the ocean and we could see the harbor and Stern’s Wharf from the big window in our room- it was just beautiful! Palm trees, grassy open areas and inviting outdoor seating pulled us from our equally beautiful room to enjoy the sunshine and the view of the ships coming into the harbor. We really liked being able to walk out the front door of the hotel and take a short walk to the Wharf, the sand, or a nearby restaurant for dinner. Our kids could have stayed in the pool all day but there was more adventure outside to be had! Read all about the beautiful and family friendly Hotel Oceana. Despite so many different activities undertaken, our ocean kayaking experience was easily the highlight of our trip to Santa Barbara. The cold, overcast early morning made the wetsuits a blessing, but I had dreamed of paddling along the secluded beaches near Santa Barbara with the sun beating down on my hat and glistening on the water. Thankfully, I was not disappointed. As we stopped to float among some kelp beds and taste some “sea salad,” the sun came out from behind the clouds and made our great adventure just about perfect. After all, I hadn’t wanted to drench the entire family in sunscreen for nothing! Disclosure: The author received a complimentary stay at Hotel Oceana in order to complete a review and write this story. She also received a complimentary tour from Santa Barbara Adventure Company, Condor Express, Wheel Fun Rentals and entry to the Santa Barbara Maritime Museum. None of these companies asked her to express any particular opinion about her experience. Michelle McCoy (aka Mcfam) is Trekaroo’s Southern California Destination Guroo. She and her husband, Matt, have 3 boys and a girl ages 2 to 10. They love traveling to National Parks and going camping, but when life with young kids keeps them home, they find their fun in traveling to the local beaches in Orange County and hiking in the wilderness areas nearby. We live in Santa Barbara and we couldn’t have put together a better weekend itinerary for you!!! Hope you also enjoyed Chase Palm Park and the carousel. Being from Santa Barbara, that trip sounds just about right in hitting the hot spots of the town. Though I would add visiting Butterfly Beach or taking a hike through the one of the many trails here in town and up in the hills. Also, if you want to experience SB and not have to worry about how much you are spending on your hotel accommodations, The Sandman Inn (www.thesandmaninn.com) is a great hotel for those on a budget! Sounds like you had an excellent family vacation! There is so much to do in SB that it is hard for anyone in your family to get bored. I totally agree with Taylor, The Sandman Inn is a great hotel but another excellent hotel in town is the South Coast Inn (www.santa-barbara-hotel.com). So elegant and the best place to escape all of the city noise! Wonderful blog! There needs to be more blogs about these types of things for Santa Barbara. SB is a great place to bring your kids and if you know how to entertain them and where to go it could be a great family vacation. Whale Watching, hiking, the zoo, kayaking (yes!) are all excellent things to do that really makes your vacation that much better. I am so excited to go back to town and though my kids are much older now, they still come with to our favorite family beach town! 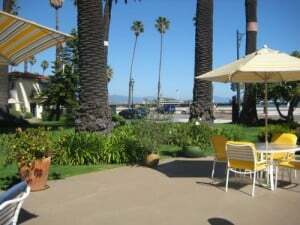 We love staying at the South Coast Inn (www.goleta-hotel.com). Close to their campus (UCSB) and multiple beaches to have bbqs and to kayak! Nothing beats Santa Barbara in the summer time. The sun is out, it’s warm and you can go out and do just about anything. Hiking is my favorite to be honest, who doesn’t like a good hike? Or spend he day at Butterfly beach, by far the best beach in Santa Barbara. Either way, it’s bound to be a good time for any age. I’m planning on going this July for some fun and I couldn’t be more excited! The South Coast Inn (www.goleta-hotel.com) is a beach friendly hotel that is elegant and has just about everything.